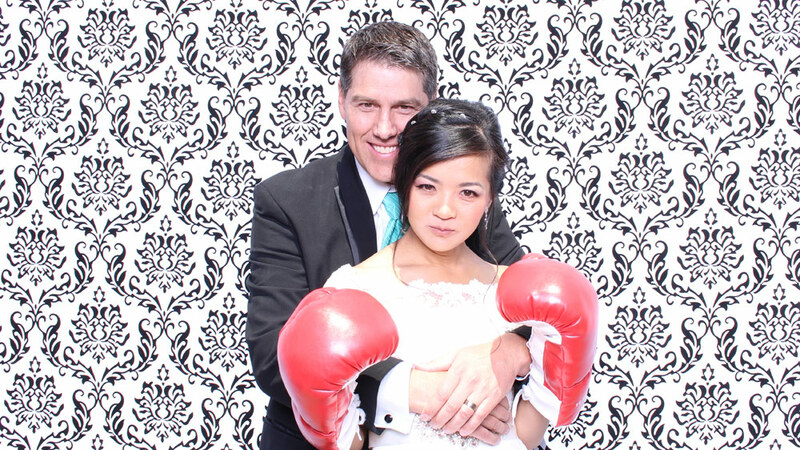 If you’ve been to enough weddings with photo booths, you know how much fun they are. 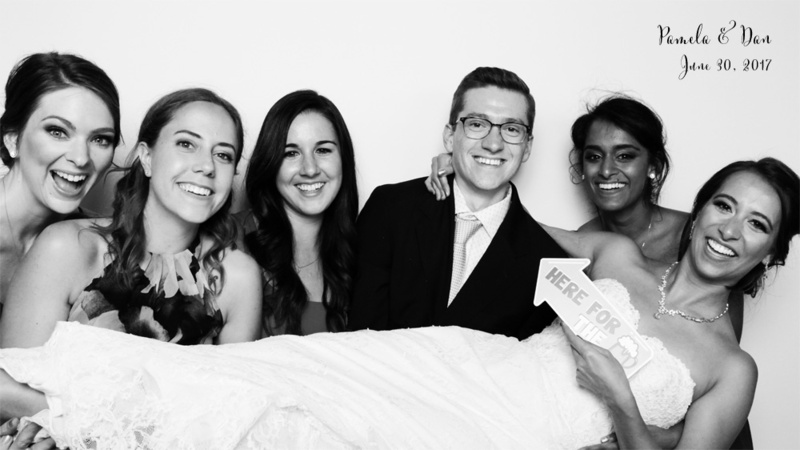 The photo booth is where everyone is laughing, smiles are made, and memories are captured for a lifetime. Fun – 81% of guests say they remember the entertainment above all else. They want to have fun! A photo booth will deliver. Look at some of our photo galleries. Props range from hats to sunglasses to even boxing gloves. And the poses you see will make you smile, laugh, wonder, and even blush. Some of my favorite poses are: some guests or the groom picking up the bride, hugs, looking into the camera (like a peephole), stink faces, and of course, smiles. Regardless of what pose is made, everyone has fun. Memories – You get all the digital images after your wedding. To capture memories from the day, you’ll probably have a guestbook. But some people can’t effectively communicate their sentiments, memories, and appreciation in written form. They’re not good writers. However, with photo booth images, you’ll get to see everyone having a great time at your wedding. The pictures will be fun to look at whether on honeymoon or after twenty years of marriage. 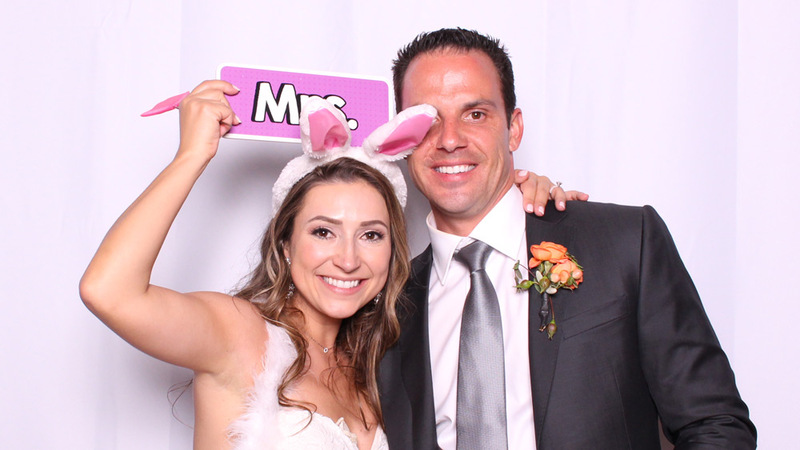 A Gift to Your Guests – With our photo booths, we often hear, “This photo booth makes me look great!” We utilize the same equipment you’ll find in a photography studio. We offer guests some of the best pictures they’ve ever taken (In many cases, the absolute best.) Photography studio sessions aren’t cheap. Thus, a photo booth offers awesome gifts to your guests that they’ll treasure for years. Entertainment Variety – The traditional source of entertainment for a wedding is a DJ. However, there are many people that don’t like to dance. You want to provide them with entertainment options too. A photo booth is fun for everyone. I’ve seen many people who are apprehensive about the photo booth, but once they come through a couple times, they can’t get enough of it. You Can Find the Money Somewhere – I’m not talking about between your couch cushions. I’ll use my wedding as an example. We spent hundreds on cakes. Some people spend thousands. Except half the weddings I now see either have one small cake or don’t have a cake at all. Instead, they have dessert bars, which are much more affordable. At my wedding, we also poured champagne for toasts/speeches. Can you say, “Waste of money”? No one remembers the champagne at all. Remember, 81% of guests say they remember the entertainment above anything else. Thus, I wish we let guests clink their glasses with the drink that was in already front of them. If we did that and bought a small cake, we could have had an amazing photo booth ON THE SAME BUDGET! Guests would have appreciated it a whole lot more, and we would have too. If you were having trouble deciding on a photo booth for your wedding, I hope this helps. If you still have questions about this, feel free to comment below. You can also contact me at any time. Is 3 Hours for a Photo Booth Long Enough?